I am pulling this one out of the archives because it is so dang good. We made these on New Years Eve and took them to a get together; they were a hit. 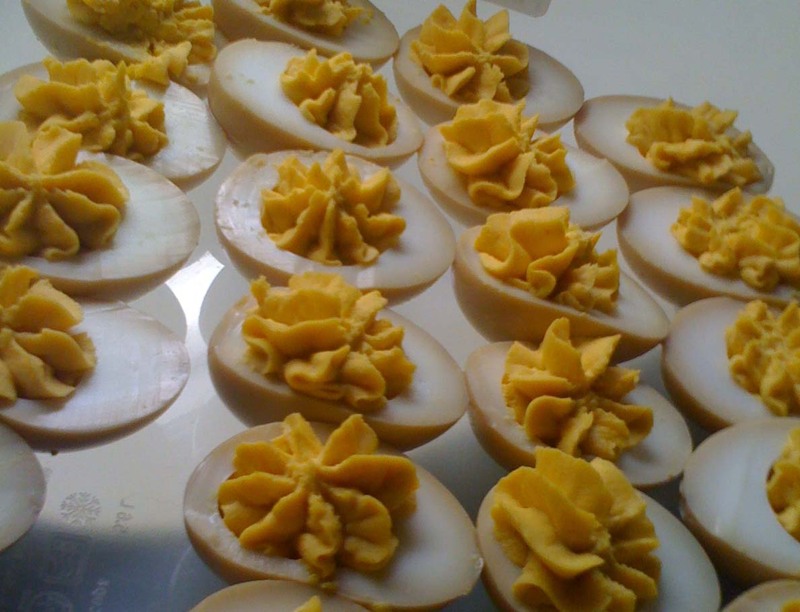 If you love deviled eggs, you have to try these. If there were a rating above “ah mazing,” this would surely get it. **We didn’t didn’t include the Chinese five spice nor the chives. Holy yum these look incredible! Definitely on the “To Make” list! Thanks! ← It’s a Miracle. I Ate Green Beans.